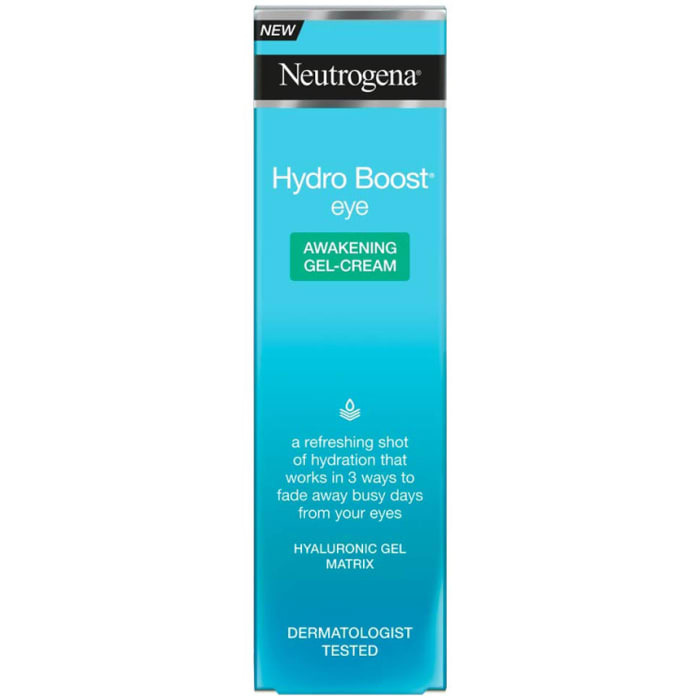 Neutrogena Hydro Boost eye-awakening gel-cream provides a refreshing shot of hydration that works in 3 ways to fade away busy days from your eyes. A shot of intense hydration instantly replenishes the skin around the under-eye area using our hyaluronic gel matrix to boost hydration and strengthen the skin barrier. A boost of freshness: it's lightweight gel formula awakens tired eyes and helps fade away signs of fatigue while instantly absorbing in to skin to smartly smooth the way for make-up.